This library requires a full retail version of Kontakt 5. It is not compatible with the Free Kontakt 5 Player. Specifically designed for metal, speed metal, grunge, and hard rock enthusiasts, The Black Kit is a deeply sampled Mapex drum kit with a huge impactful character and high octane seven-dimension microphone sampling. You are in complete control of the kit's sound, with the ability to balance seven different phase-aligned mics, multiple snare tuning options, and advanced realism features with extensive velocity layers and round robin takes. Snare buzz control, multiple articulations, room type and size control, multiple outs, and MIDI remapping features (featuring custom mappings as well as instant support for many other common drum maps) are also supported. The Black Kit makes it easy to create a slamming drum performance with a minimum of effort. 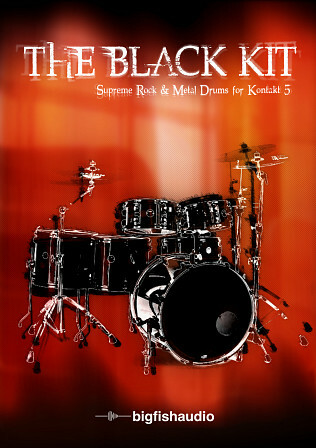 The Black Kit ships with 2.7 GB of compressed drum samples (4.9 GB uncompressed) and requires the full version of Kontakt 5. - high-end Kontakt 5 instrument, which makes full usage of the new Kontakt 5 features and the new high quality effects which come with Kontakt 5. - very easy to use, simply load and play! Mapex Black Panther 13x6" Snare - with Puresonic Blaster snare wires, Evans Genera HD Dry head and matching Evans reso. Mapex Merdian Limited 22x18" Kick - with Evans EMAD head and matching EMAD reso. Mapex Merdian Limited 10x5.5" Shortstack Tom - with Evans EC2 head and matching reso. Mapex Merdian Limited 12x6" Shortstack Tom - with Evans EC2 head and mathcin reso. Mapex Merdian Limited 14x12" Floor Tom - with Evans EC2 head and matchin reso. Mapex Merdian Limited 16x13" Floor Tom - with Evans EC2 head and matching reso. The Following End User License Agreement is included with Black Kit, The. This License is only valid for the individual who has purchased an unopened, new and lawfully made copy of Black Kit, The from a dealer or distributor authorized by Big Fish Audio. 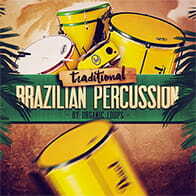 "The samples contained herein are licensed, not sold to you, the individual end user, by Big Fish Audio. This non-exclusive, non-transferable license is granted only to the individual end user who has purchased an unopened, new, and lawfully made copy of this product from a dealer or distributor authorized by Big Fish Audio. All samples remain the property of Big Fish Audio and are licensed only for use in the creation of a live or recorded performance that includes the licensed samples as part of a derivative musical work created by the licensed end user. This license expressly forbids resale, rental, loan, gift, or transfer of these samples in any format or via any medium, except as part of a derivative musical work. The samples may not be included, whether unmodified or as part of a derivative work, in any sample library product. Any unlicensed usage will be prosecuted to the maximum extent possible under the law."